A backyard planting in Bergen County, NJ in later June. These planting beds separate the outdoor kitchen and swimming pool from the back lawn and play area. A mixture of ground covers, perennials, ornamental grasses and shrubbery make up these plantings. 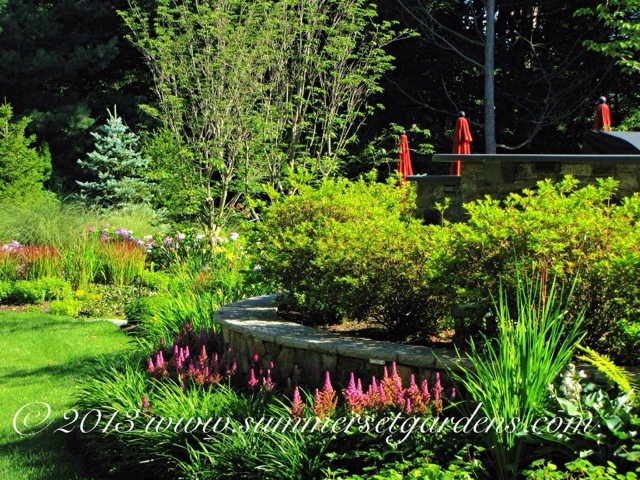 Landscaping and garden design services in the NJ and NY areas.